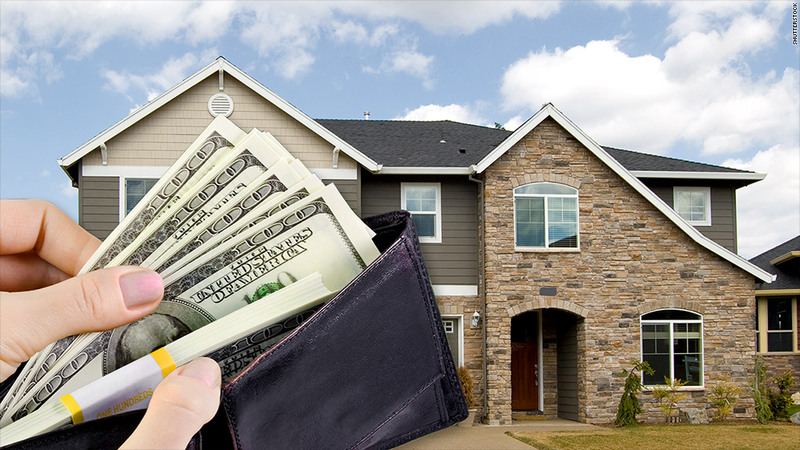 All-cash deals made up 38% of all home sales in the second quarter, according to RealtyTrac. Buying a home? You still have to compete against the big money bringing all-cash. But it's getting a little easier. They accounted for 4.7% of all homes sold, down from a peak of 6% in 2013. As the housing market recovered, these investors were buying up homes in deeply troubled markets, like Phoenix and Las Vegas. Those bulk buys helped to reverse the slide in home prices. But now, home prices are up more than 20% from their 2012 lows. This has created a "classic good news/bad news scenario" for the housing market, said Daren Blomquist, a spokesman for RealtyTrac. The good news is that first-time homebuyers have more of a shot. The bad news is that some of them may already be "priced out of the market," said Blomquist. Cash buyers are much more attractive to sellers because they know the investors are able to act quickly and that the sale will almost certainly go through. There are still plenty of markets where cash rules. In Las Vegas, a recent spike in defaults has sparked an increase in cash sales to more than 50% of all home sales. Detroit, Kansas City, Cleveland and Philadelphia all had at least 45% of sales in cash. Cities attractive to foreign investors are also seeing a lot of cash exchange hands. In the Miami metro area, with its huge demand from Latin Americans, a whopping 64% of sales were all cash. Other Florida cities like Orlando, Cape Coral, Sarasota and Tampa scored nearly as high. In New York, 48% of sales were cash.